Administration fee: £240.00 for two people and £75.00 for each additional applicant thereafter. This includes the cost of all correspondence prior to occupation, arranging check in / check out, Right to Rent check, Know Your Customer check and administering of the Security Deposit. New tenancy agreements: £75.00 (for Kennedys' Tenancy Agreement) If the landlord uses there own the cost will be advised. Provide Landlords with a current market appraisal and impartial advice regarding decor, furnishings, EPC etc. Advise Landlords of existing legislation with regards to ensuring the property meets current standards. Organise Landlord's Gas Safety Certificate and annual renewal (this is a legal requirement). The cost of this is approx. £72.00 inc VAT and payable by the Landlord. If the property requires smoke alarms/CO monitors, these can be fitted at the same time, prices may vary according to number of units required and we will be happy to confirm this with you. Arrange for the EPC and floorplan to be carried out and prepare property details to include photographs. The cost of the EPC and floorplan to be paid by the Landlord and is approx. £75.00 plus VAT. 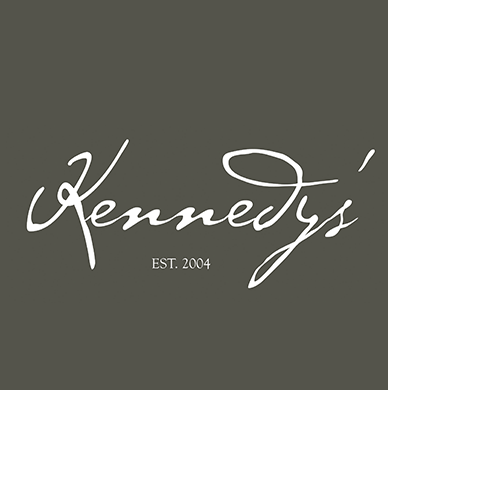 Advertise the property on Kennedys' website, Rightmove, Findaproperty, Zoopla, Prime Location and all other relevant portals and display in Kennedys' window in Walton on the Hill. Contact prospective tenants registered on our database and through web based enquiries. Accompany viewing appointments with prospective tenants. Assess suitability of prospective tenants through references using an independent referencing agency. This will include income and residential (landlord) references, plus credit search. It should be noted that Kennedys' take no liability for any prospective tenant providing false or misleading information in their application. Arrange for the property to be professionally cleaned to include carpets and windows. You will be required to cover the cost of this and we can provide you with a quote. Arrange for inventory and check-in using an independent inventory company. You will be required to cover the cost of this and we can provide you with the amount. We will collect the first months' rent in advance, provide the tenant with details of Kennedys' Client Account to make future rental payments. We will deduct our fee and any maintenance deductions and transfer the balance to your nominated account. Monthly thereafter once we have received the rent from your tenant we will transfer it to yourself, minus our fee subject to any maintenance deductions within five working days. We will hold the Security Deposit (the equivalent of six weeks rent) as Stakeholder under a government approved Deposit Scheme (My Deposits). There will be a charge of £30.00 inc VAT to protect the deposit. We will carry out six monthly visits and report back via email with regards to the condition of the property and any maintenance issues or concerns (if any) that may have arisen. If you wish to have a full report with photographs carried out this can be arranged ata cost of £40.00 inc VAT. We will deal with all property maintenance problems and would suggest a "slush fund" of £500 is held by Kennedys'. We will instruct contractors on your behalf up to a limit of £250 to be deducted from the slush fund, and thereafter by obtaining your instructions/consent. Should any works carried out exceed the amount held on your behalf you will be required to cover the costs of this. If you have any preferred contractors, please provide details of these including contact telephone numbers. Serve the Section 21 Notice on your behalf requiring vacant possession when required. Arrange for the check-out to be carried out at the termination of the tenancy. This is at the cost of the tenant. Once completed, a copy of the check-out will be forwarded to both parties. If there are any disputes, these will need to be made in writing at all times and we will assist you wherever possible but must remain completely impartial at all times. Once written consent is received from yourself we will return the deposit accordingly. Arrange for the EPC and tloorplan to be carried out and prepare property details to include photographs. The cost of the EPC and tloorplan to be paid by the Landlord and is approx. £75.00 plus VAT. You will be required to organise for the Landlord's Gas Safety Certificate to be carried out (this is a legal requirement) and thereafter on an annual basis. We will send you a reminder when this is due but it will be your responsibility to have this completed. Should you require Kennedys' to carry this out on your behalf the cost of this is approx. £72.00 inc VAT and payable by yourself. If the property requires smoke alarms/CO monitors, these will need to be fitted at the same time. Please note that if we are not in possession of a valid certificate prior to the commencement date, the tenancy will not proceed. For Let Only with Rent Collection we will collect the first months' rent in advance and provide the tenant with the details of Kennedys' Client Account for them to instruct their bank to make future rental payments. We will deduct our fee and transfer the balance to your nominated account. Monthly thereafter once we have received the rent from your tenant we will transfer it to yourself, minus our fee or any other agreed deductions within five working days. For Let Only without Rent Collection we will collect the first months' rent in advance and provide the tenant with the details of your bank account to make future rental payments fom the second month onwards. We·will deduct our fee in advance for the duration of the tenancy and transfer the balance to your nominated account. Should the first months' rent not be sufficient to cover our fee we will send you a separate invoice for payment to be made within seven days. Arrange for the check-out to be carried out at the termination of the tenancy. This is at the cost of the tenant. Once completed, a copy of the check-out will be forwarded to both parties. If there are any disputes, these will be dealt with direct between yourself and your tenant. Once written consent is received from both parties we will return the deposit accordingly. For the purpose of the Data Protection Act 1998 and General Data Protection Regulation EU 2016/679, the data controller is Kennedys’ Independent Property Agent. Still Moving London (photographers), In-House Photography, REZI, Rent4Sure, Mark Soane (EPC and Floorplans). You have a right to request a copy of the personal information we hold about you, known as a data subject access request. You also have the right to request that information we hold about you which may be incorrect, or which has been changed since you first told us, is updated or removed. These requests are free of charge and can be sent to Sue Cox, 48 Walton Street, Walton on the Hill, KT20 7RT. Any queries or concerns about the way in which your data is being used can be sent to Sue Cox. In the event that we process your data by automated means where you have either provided us with consent for us to use your information or where we used the information to perform a contract with you, you have the right to request that we send to you or to another organisation, a copy of the personal data we hold about you, for example when you are dealing with a different service provider. If you would like us to move, copy, or transfer your information please let us know by email to info@kennedys-ipa.co.uk. We will respond to you within one month after assessing whether this is possible, taking into account the technical compatibility with the other organisation in question. If you wish to raise a complaint on how we have handled your personal data, you can contact us to have the matter investigated by writing to Sue Cox, Kennedys Independent Property Agent.